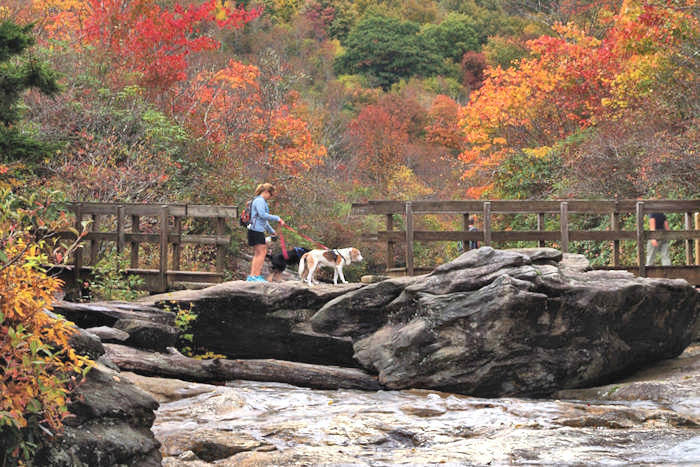 Find the perfect place to stay in Asheville and the Blue Ridge Mountains of North Carolina for your vacation getaway! We have a big variety of lodging and accommodation options in all price ranges - from luxury to budget. Be sure to book well in advance for best choices and deals - especially on weekends, holidays and leaf season during October. If you are having a special occasion, be sure to ask about options for romantic packages when you make your reservations. See our favorite and best Asheville bed and breakfast inns in the western North Carolina mountains near Biltmore Estate and the Blue Ridge Parkway. All have luxury accommodations with a long list of amenities. Innkeepers are delighted to help with special occasions and requests. See our Pet Friendly Guide for places to stay with your dog.